The Good News: An Alternate Theory is a missive that is intended to activate a remembering and initiate break down of embodied walls of misunderstanding about Divinity in respect to life on this planet.The reader is urged to let the words reside with them in a manner that points the way to truth in the most personal of instances, the way to the depths of "NO THING". To affect change requires relatively few people. 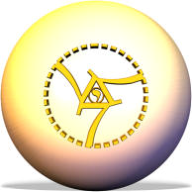 The Critical mass number for change is 777,000. We invite you to become a force for change by joining I.D.E.A. age, ethnicity, color, status, or religious persuasion. give hope to the souls who have lost their way. Arm in arm we empower each to stand strong. We leave a legacy for future generations, one world united.